Something made me clap my hands and giggle in glee today. Of course I want to share the cause with you but, first, a bit of context. I only started diving in 1999 at age 36. I resisted taking underwater photos until 2006, not wanting to take my above-the-ocean marine photo addiction underwater with me. Then I was gifted an underwater camera and very soon discovered the huge conservation power of sharing these photos with others, especially when coupled with my teaching. Then there was that amazing Murray A. Newman Aquatic Conservation award from the Vancouver Aquarium . . .
And now, I feel another milestone has been reached in whatever path The Marine Detective is on. I am this month’s “Featured Photographer” in Pacific Northwest Diver Magazine. I have had the great privilege of my photos getting used for a variety of conservation purposes prior to this but this magazine is put out by peers in the Pacific Northwest Underwater Photographic Society. The calibre of these underwater photographers humbles me, so it is a really big deal! Please check out the write-up and my photos in Pacific Northwest Diver at this link (pages 4 to 9). The direct link to the e-magazine is right under my dolphin cover shot. Ooh, an additional draw for you to go to the website – the promise of a dolphin photo! My huge thanks to editor Dan Clements for the honour, the opportunity to expand the reach of The Marine Detective, and this additional push to keep me going. My huge thanks to you for giving me further reason to believe these efforts are worthwhile. 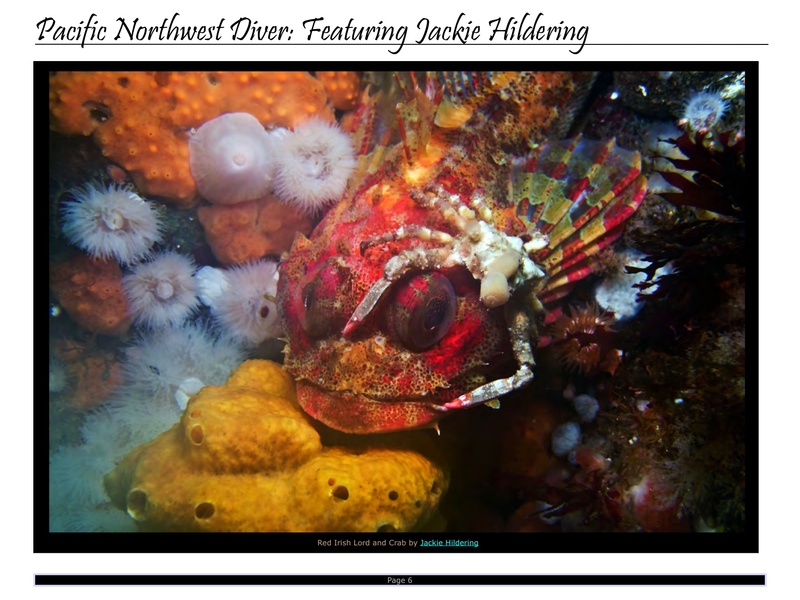 The Marine Detective honoured to be the “Featured Photographer” in Pacific Northwest Diver. When a Giant Falls . . . and people care. Wow! More clapping and joy. Thank you! Well deserved! I want the magazine in print too! Fabulous Jackie, but not surprizing, your photos are amazing!!! xo I’m looking for hard copy.